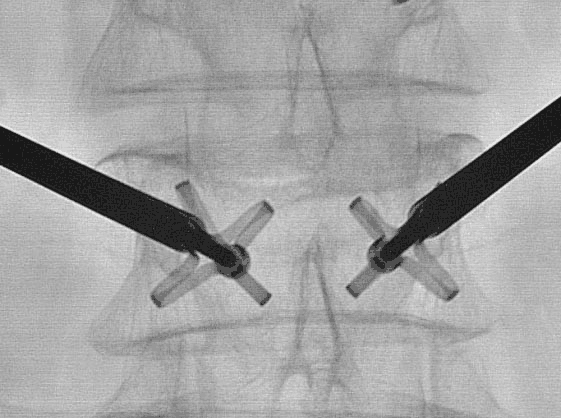 SpineAlign’s nitinol implant is a dynamic tool with unique advantages for treating painful osteoporotic vertebral compression fractures. SpineAlign offers spine specialists the ability to choose fracture-specific implants in sizes and configurations to fit each patient. The VerteLift Implant’s superior flexibility allows it to be precisely placed - even repositioned if necessary. Images: Courtesy of Giovanni Carlo Anselmetti M.D. With the injection of bone cement, the VerteLift Implant’s unique flexibility is transformed into reinforcing strength -- greater than PMMA alone¹—delivering long-lasting structural support, vertebral stability and pain relief. Prior to injection of cement, an expanded VerteLift Implant can not only be re-positioned but completely withdrawn, if necessary. Chrome Users: If you are having problems playing the video, please make sure you click "Always run on this site" under the address window to allow the QuickTime Player to play. ¹	Data on file at SpineAlign Medical Inc.